Keeping safety precautions first, and due to current weather conditions, we have made the decision to cancel the entire event tomorrow morning, Saturday, September 22nd. Register up to (8) people in a single transaction. Donate to a team, or make a direct donation to Wipe Out Kids' Cancer (WOKC). This option does not include a race entry. Keeping safety precautions first, and due to current weather conditions, we have made the decision to cancel the 2018 Oktoberfest 5K and Family Fun Run tomorrow morning, Saturday, September 22nd. Proceeds from "Wipe Out Kids' Cancer Oktoberfest 5K & Family Fun Run - 33rd Annual" will go to the Dallas-based non-profit organization founded in 1980 dedicated to eradicating pediatric cancer by funding innovative research, education and treatment, while providing hope to children affected with cancer. The mission of WOKC is to work relentlessly for a day when all children are living cancer free. For more information visit: www.wokc.org. 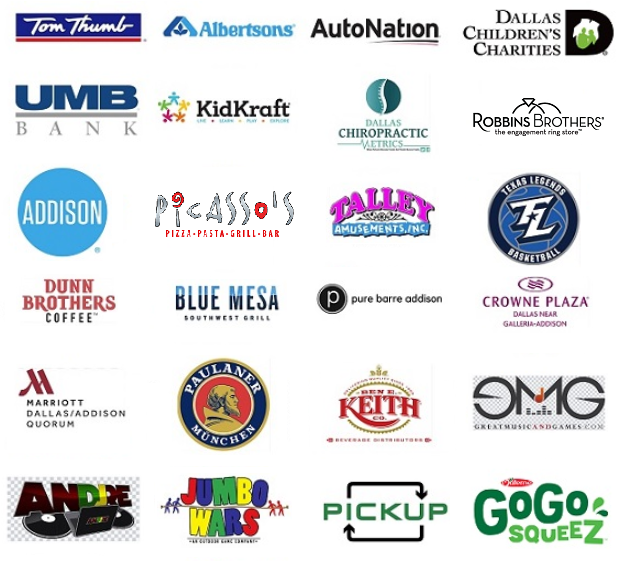 Please support our charity partners! Our event focuses on the power of collaboration with intent to build a larger footprint for impact in the pediatric cancer sector here in the Dallas/Fort Worth area. We are proud to announce the event will benefit, not only one, but two locally based childhood cancer nonprofits: Wipe Out Kids' Cancer and CALEB. This tremendous show of partnership serves as a great reminder joining forces removes barriers of competition and promotes collaboration to generate additional funds, resources and awareness. "In order to make further impact and meet the critical need for more research and support, we must come together and use not only our shared voice but also our actions to better steward donor dollars and raise awareness," said Chandini Portteus, President and CEO of WOKC. *You must be present to win. Chip timing is required to be eligible for awards. No duplicate awards given. To set up a homepage and begin collecting donations, select "click here to start a team" above. Setting up a team page does not register you for the event. After you create your team page, you may register and pay for one of the running events. Donations to your team or individual fundraiser can be made during the registration process. Race participants can join a team and make a donation on step 2 of the registration process. Non-runners can donate to a team or individual fundraiser by selecting "click here to contribute". When this page loaded, the official time was 8:37:45 AM EDT.